STRATPOL ViewPoints is a project which seeks to address the most important international politics and security affairs of today. In every issue, you can find a Policy Paper, thought provoking opinion piece, and a brief review of a recent study from well-known research centres and think-tanks worldwide. 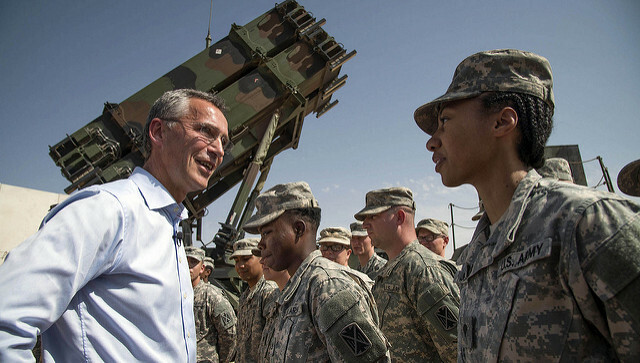 NATO has resolved to form the coalition to fight against IS. The foremost consideration of the alliance should be what political objectives are to be achieved by this war. This consideration will dictate the resources required for its fulfillment as well as concepts by which the resources will be linked to the objectives. NATO’s potential adversary is composed of three different elements. First, it is territorial caliphate defended by local militia. Second, it is a web of global terror cells partially dependent on the territory. 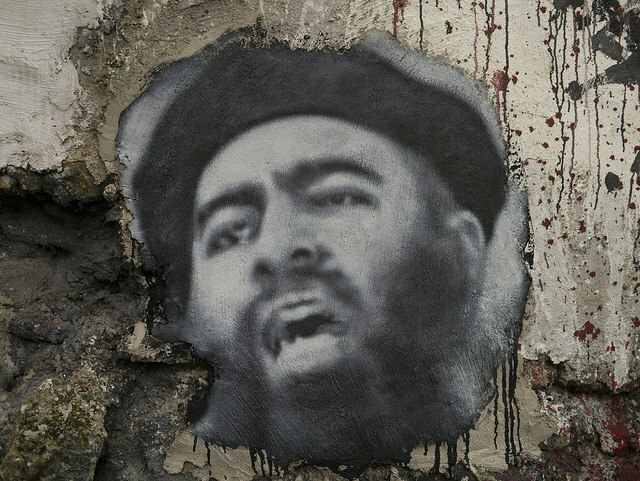 Third, it serves as inspiration for individual terrorist attacks, which do not have direct relation to the caliphate. Any potential policy should be carefully crafted considering the character of the enemy. Additionally, successful policy must score well across the criteria of suitability, feasibility and acceptability. Better policies may be found on the softer side of the spectrum of policy options – those not utilizing military tools. Destruction of IS should not be NATO’s goal. Enhancing its security by strengthening the cohesion of its members is more appropriate objective. The Alliance should not purse offensive military operations of any kind, because it does not have a clear end state to work with in Iraq and Syria. Rather, it should use diplomatic and economic measures, and materiel sharing among its members and allies to manage the challenges posed by current situation. Fighting in the Middle East has continued for several years now and the war is far from over. Many different actors are participating in the conflict, some trying to terminate it, while others try to profit from its continuation. While the conflict continues, new actors are considering involvement. Saying bye to the alliance: Turkey leaving NATO? Since joining the Alliance in the early 1950s, Turkey has certainly been a valuable member of NATO. But its relevance for NATO is arguably not primarily based on the strength of its army or the size of its population, but mostly on its geographic position. In the past, Turkey’s position turned out to be a major factor in the Cuban missile crisis. Today it is again extremely significant due to its proximity to the Syrian civil war and the areas occupied by the so-called Islamic state. However, the Turkey-NATO relationship is not without tensions. Some examples are the disagreement over the US support for the YPG or its hosting of the Islamic preacher Fethullah Gülen, accused of organizing the last year’s attempted coup in Turkey. Even though these disagreements would hardly cause Turkey to withdraw from NATO, it is useful to find out what would be at stake. From the point of view of geography, Turkey’s most important feature is that it controls the Bosphorus strait. NATO’s loss of the entrance into the Black Sea would, without a doubt, be a cause for celebration in Russia. It would allow Moscow to be even more assertive towards Ukraine, Eastern Europe and the South Caucasus. With its flank on the Black Sea secure and uncontested, the potential invasion into Ukraine would be much easier. Similar situation would also occur in the Caucasus, which, even though situated traditionally in the Russian sphere of influence, would be now completely out of reach for NATO. Additionally, Turkey represents one of the largest armies in NATO, outnumbered only by the US. Losing Turkey would, therefore, significantly weaken NATO. If Turkey quits, consequences for NATO would be severe. But Turkey would not lose as much. Because of the lack of interest of NATO following the attempted coup in July 2016, Turkish minister of foreign affairs stated that Turkey “would think about leaving,” if NATO did not step up and help defend the country. The perceived lack of any tangible benefits of membership in NATO could serve as a potential reason for withdrawal. Turkey has already started building better relations with Russia and the situation could deteriorate further if NATO does not stop taking Turkey for granted. Finally, in the case of Turkish withdrawal from the Alliance, NATO’s loss is someone else’s gain. The circumstances would then depend mostly on the new Turkish political orientation. Ankara could side with major geopolitical players such as Russia or China. But it could also pursue its own goals with the ambition to be an independent power, or the leader of a new Muslim bloc opposed to both East and West. 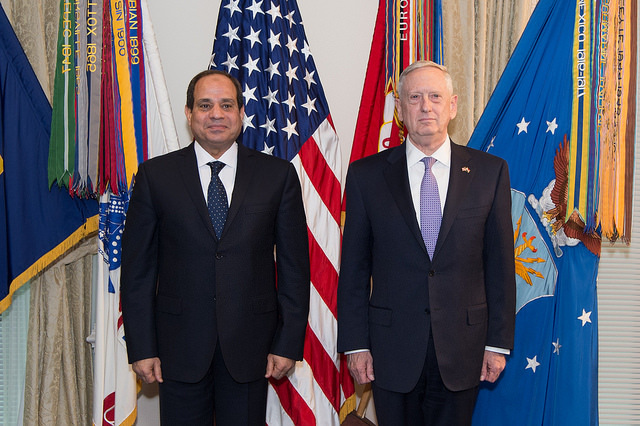 Recent research from SSI – Strategic Studies Institute at U.S. Army War College, analyzes the potential for Egypt to resume an Arab leadership role that has been in abeyance for several years because of its turbulent domestic scene. The monograph also assesses whether such a role would be beneficial for U.S. policy. While acknowledging many problems Egypt now faces, Aftandilian argues that Egyptian regional leadership role can help to dampen many of the crises facing the Arab world. One of the most serious is the Sunni-Shia conflict that has been exacerbated by the Iran-Saudi rivalry. As a state that does not place religion at the forefront of its foreign policy, Egypt, while a mostly Sunni country, is not interested in pursuing a sectarian agenda. As a moderate Sunni Muslim state, Egypt could also play a role, which it has done to some extent already, in leading an ideological campaign against the extremist ideologies of the Islamic State of Iraq and Syria (ISIS), al-Qaeda and like-minded groups. Author acknowledges the fact that while the United States should welcome a regional leadership role for Egypt, there may be cases where the two countries do not see eye-to-eye. When Egypt overcomes its domestic challenges, and moves towards a regional leadership role, the article argues for keeping, not cutting, the U.S. military assistance. It will demonstrate to the Egyptian leadership and the Egyptian people that the United States stands with them against terrorism. Full SSI paper can be found here.